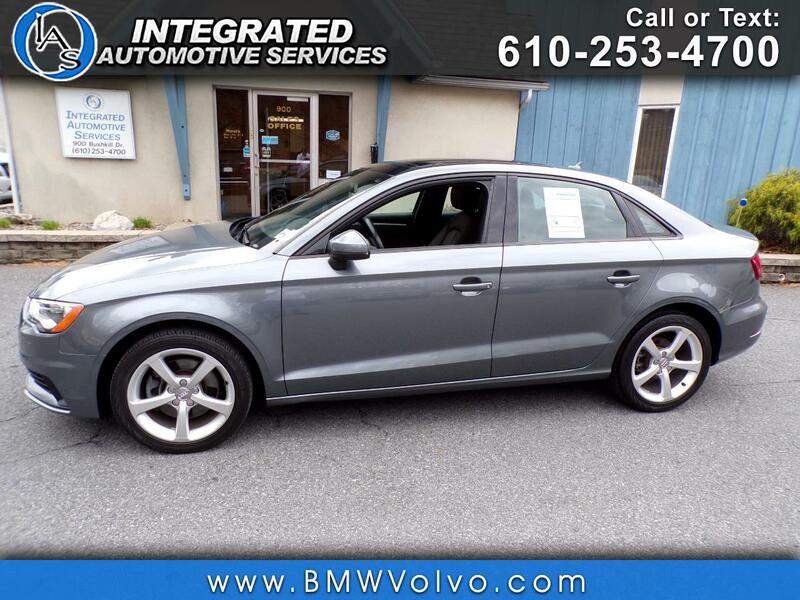 Used 2015 Audi A3 2.0T Premium quattro for Sale in Easton PA 18042 Integrated Automotive Services Inc. Recent Arrival! Clean CARFAX. Fresh Oil Change, New PA State Inspection, Fully Serviced, Bluetooth, Clean Carfax, Non Smoker, quattro, Chestnut Brown w/Leather Seating Surfaces, Audi Guard Wheel Lock Kit, Leather Seating Surfaces, Navigation System, Power moonroof, Radio: Audi Concert AM/FM/SiriusXM w/CD Player.